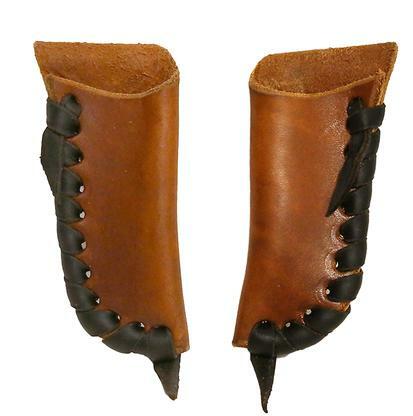 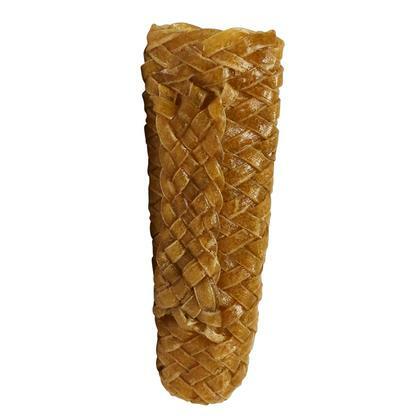 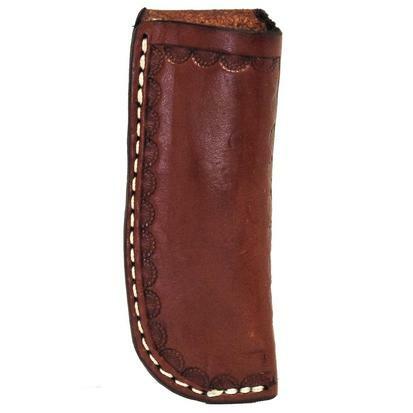 This knife scabbard is made from chestnut skirting leather. 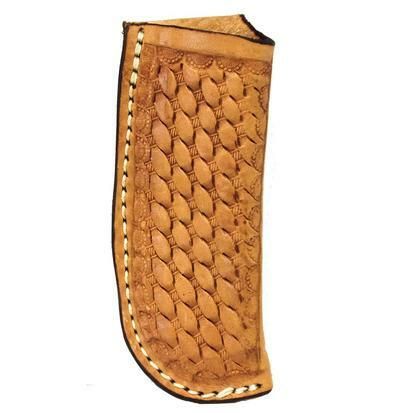 The leather is stitched and vine tooled. 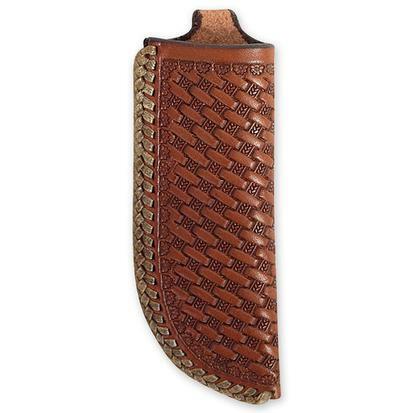 This is an angled knife scabbard that fits on your belt. 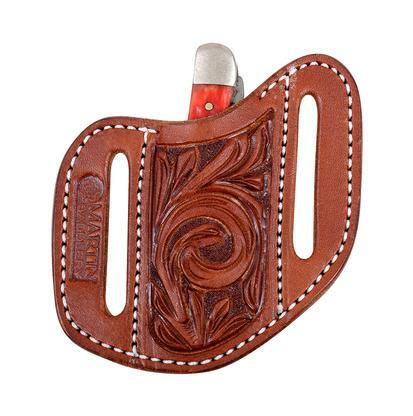 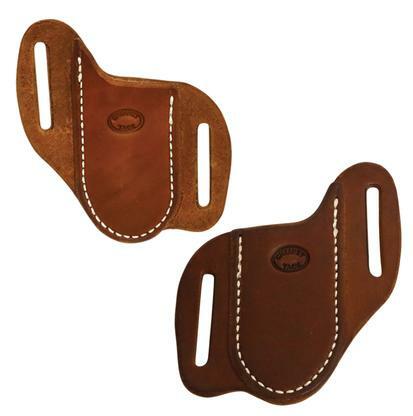 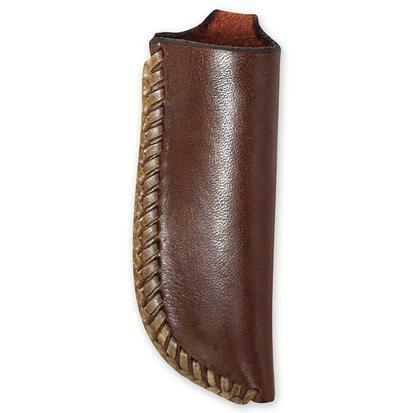 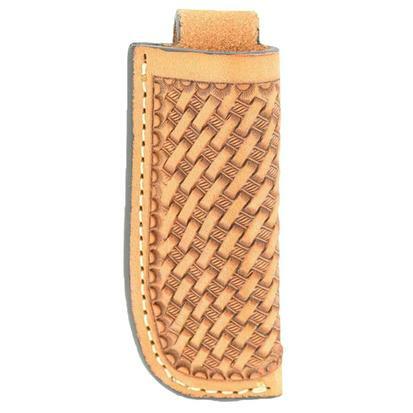 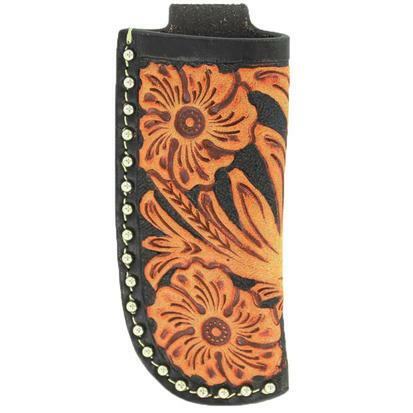 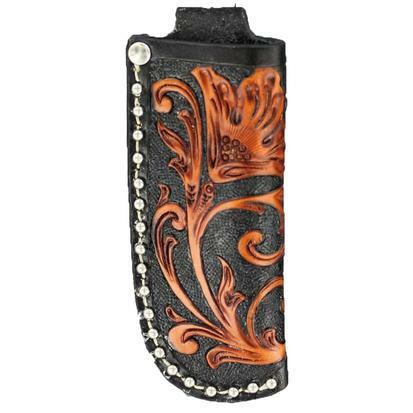 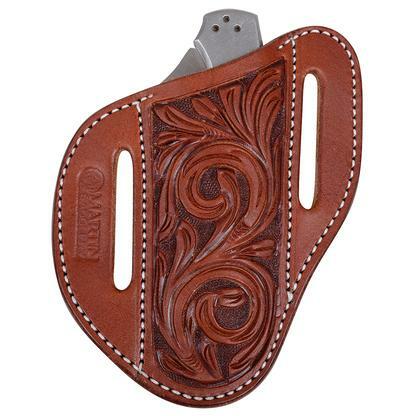 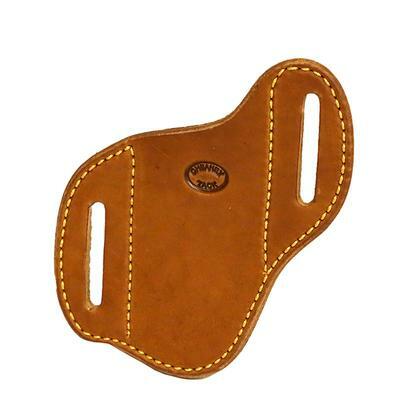 This vertical knife sheath fits most 3 ½ - 4 ¼ inch knives. 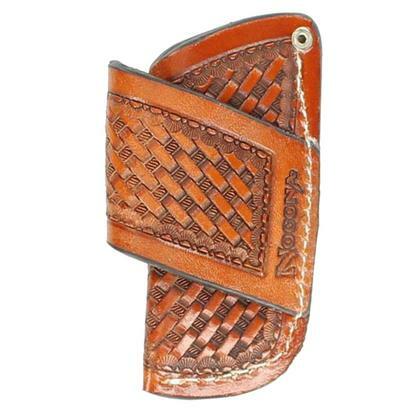 The medium oiled leather is basket weave tooled and has a camo border.